My most ambitious Wraithlord conversion to date, the Wraithsinger represents a powerful Bonesinger that has been reborn in a Wraithlord's form. Since Eldar constructs are built from psychically reactive materials, I envisaged the Wraithlord taking on a new shape and form; adapting to the spirit inhabiting it. 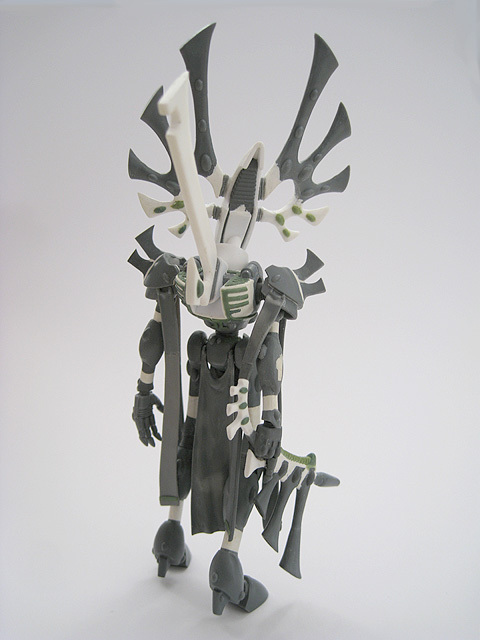 The original Bonesinger miniature looks very distinctive when compared to other Eldar and I wanted to replicate some of the unique features in the Bonesinger's design, whilst still retaining the obvious stylings that are typical of Wraith constructs. 1. 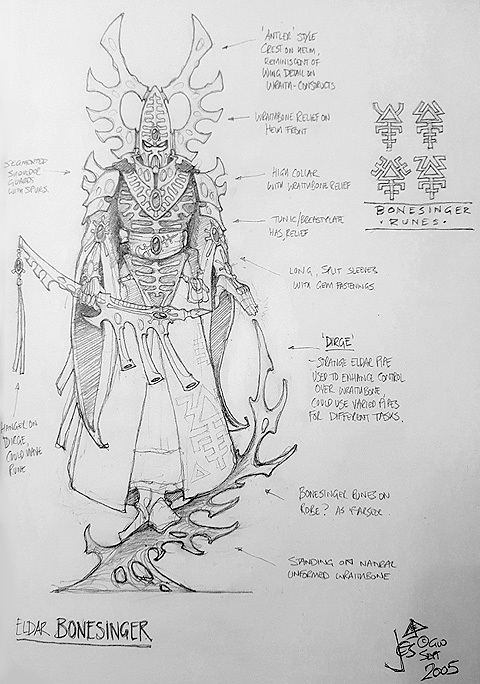 I referred to this sketch of the Bonesinger by Jes Goodwin a lot when I was designing the Wraithsinger. Original artwork by Jes Goodwin and © Games Workshop. 2. 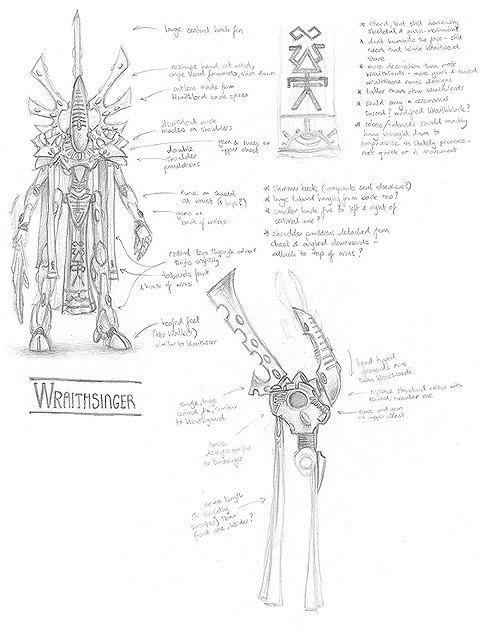 My sketch of the Wraithsinger. I wanted to make him lankier and taller than a standard Wraithlord. He is imposing by virtue of his size rather than because of heavy armament. 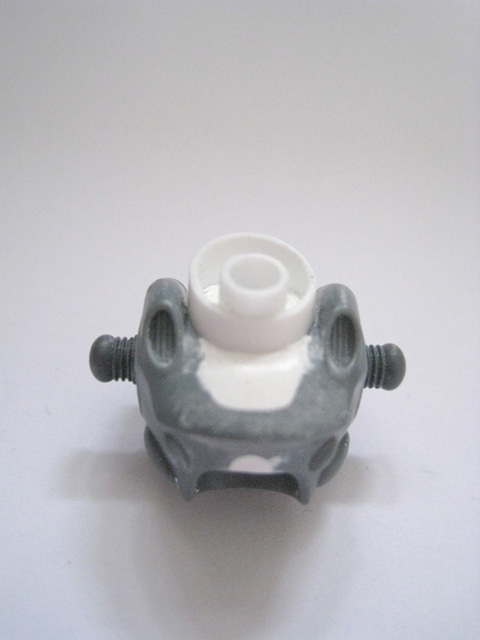 The main shape of the head was made from a single piece of plasticard, wrapped around the original plastic Wraithlord component, which had been filed down to a narrower profile. 3. 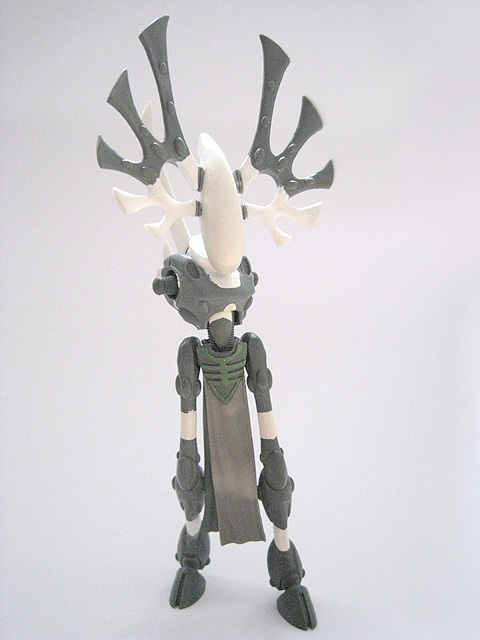 The head is smaller and narrower than a normal Wraithlord's to accommodate the large protruding antlers. 4. A work-in-progress shot of the torso. 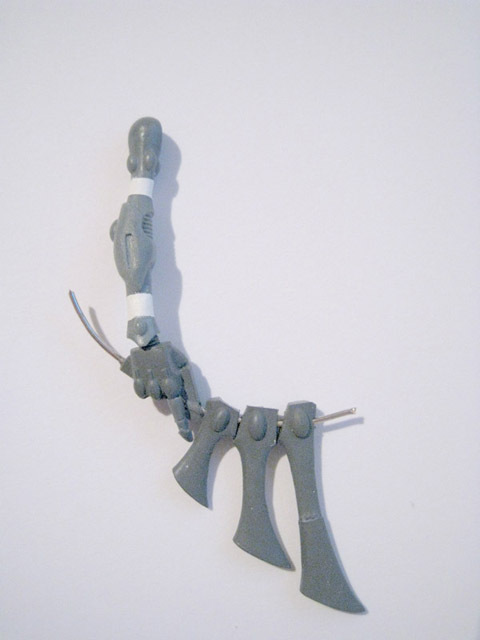 The bulk of the antlers are made from spare Wraithlord back fins. 5. This mock-up shows how the head and torso fit together. 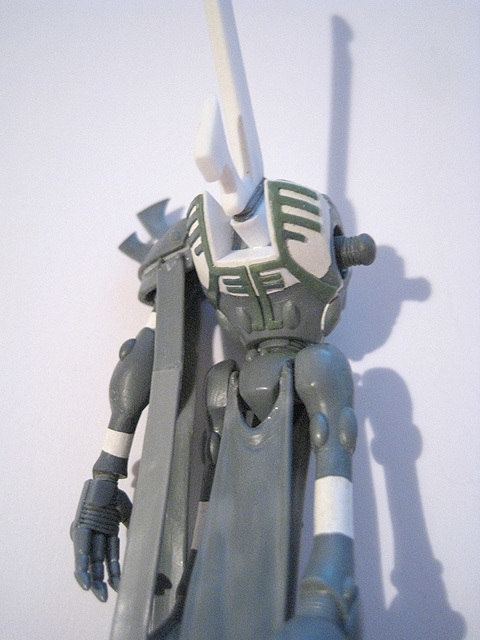 I extended the back of the torso using plasticard. This echoes the design of the Bonesinger. 6. 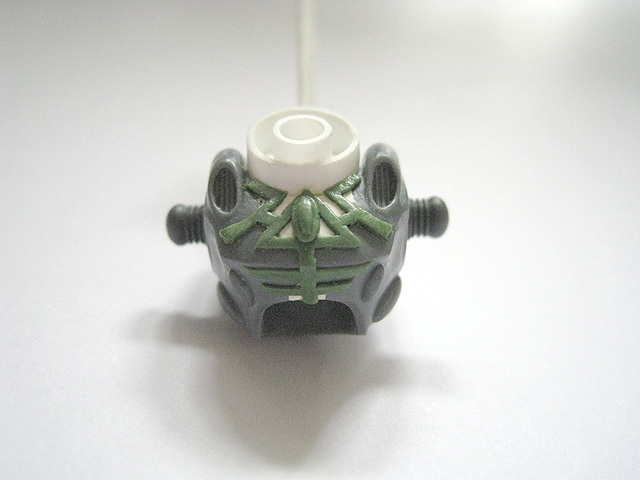 A profile view of the Wraithsinger's upper body. 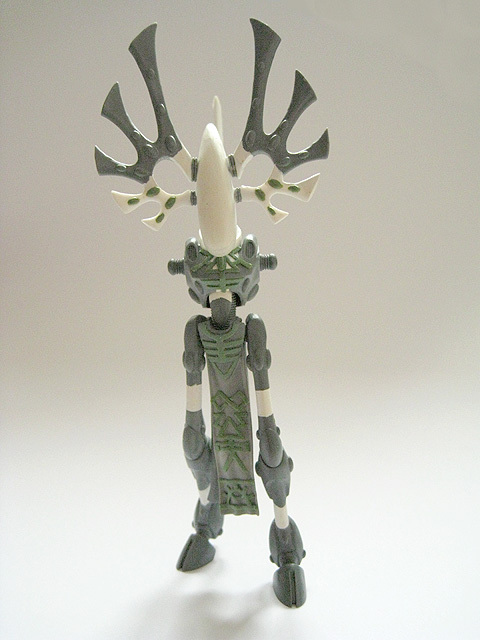 The head is angled much further forwards than the standard Wraithlord one, so that the antlers will point upwards. 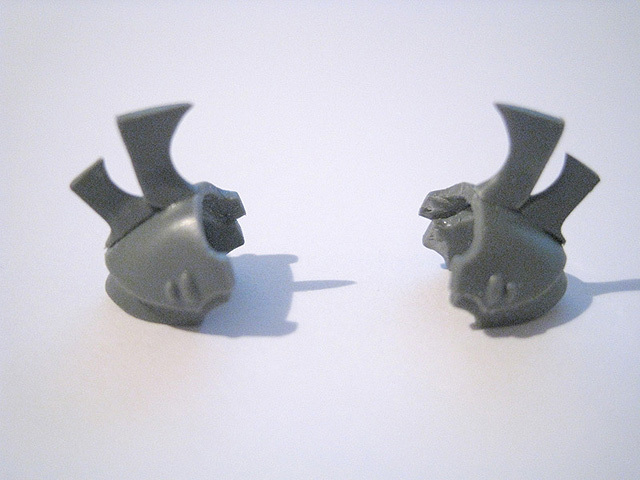 The shoulder pads were cut away from spare torsos from other Wraithlord kits. 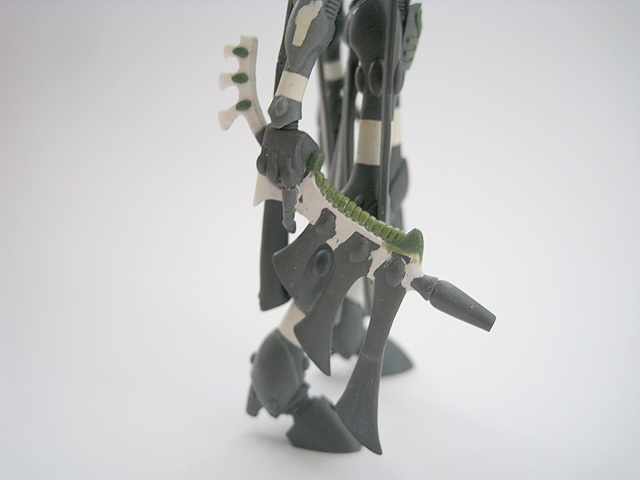 These protruding spikes were made using Wraithlord arm blades. 7. 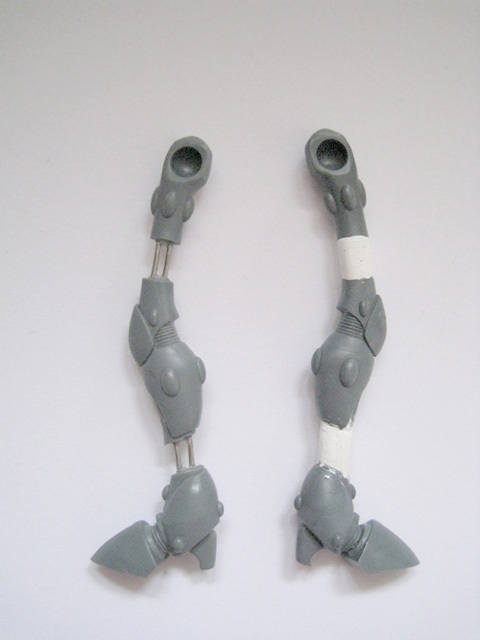 The pauldrons were made to echo the design of those on the Bonesinger, with overlapping segments. 8. 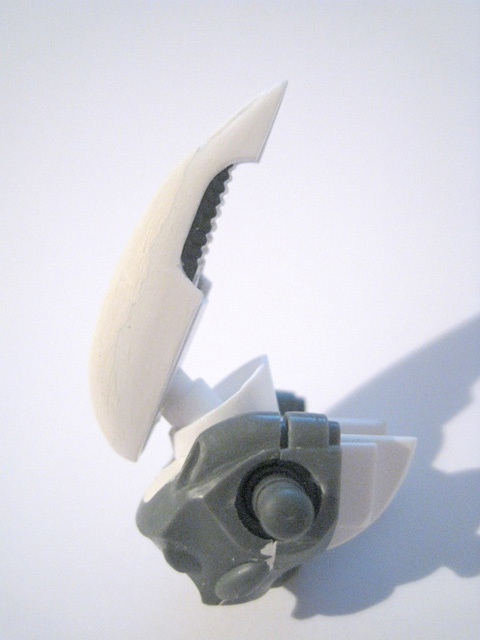 This back fin is quite different to the usual Wraithlord design and is more similar to the Bonesinger's. 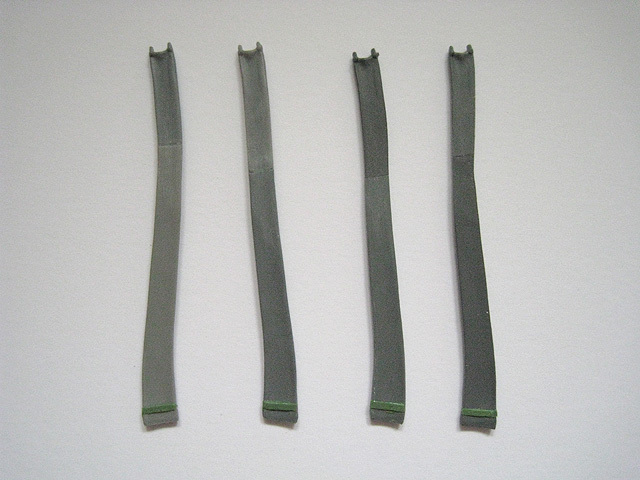 The vanes of the psytronome shaper were made from another set of Wraithlord fins, with the longest shortened slightly and most of the gems removed. This extended finger was removed from a different hand and carefully glued in place. 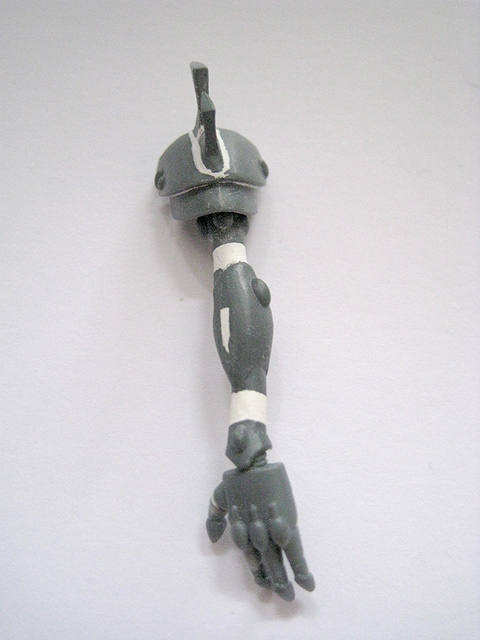 The forearm was filed down. 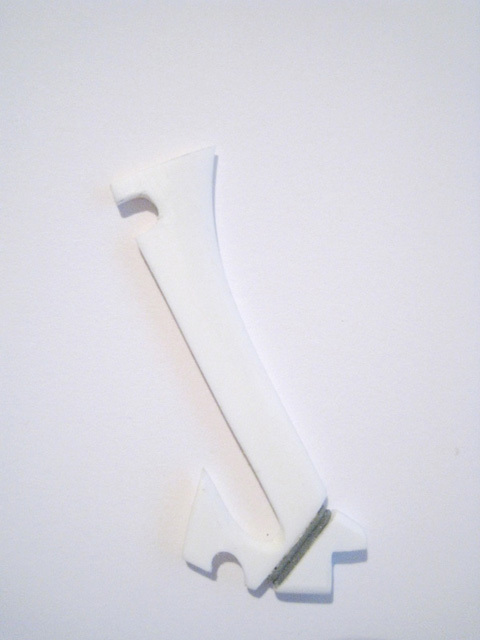 The arm was extended slightly at the wrist and upper arm and the gaps filled with white milliput. 9. 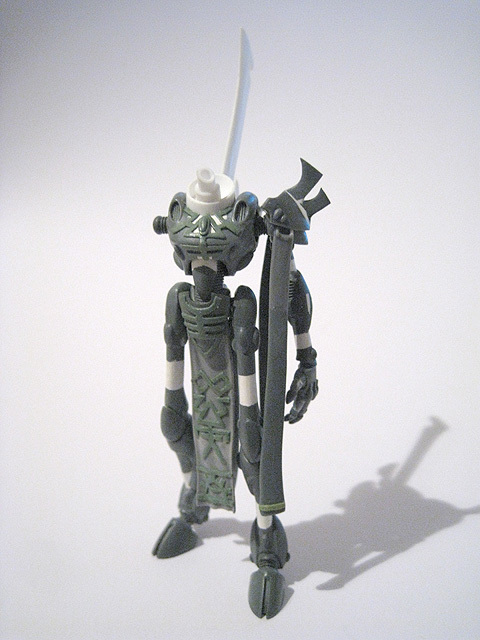 The right arm holds an oversized version of the Bonesinger's flute-like instrument called a psytronome shaper. These hoofed feet were originally from a War Walker. The legs were extended using paperclips. I pinned each piece twice for extra rigidity. 10. The Wraithsinger's legs take shape. The two tabards were bent into more natural, interesting shapes. This runic design was sculpted using Green Stuff. 11. 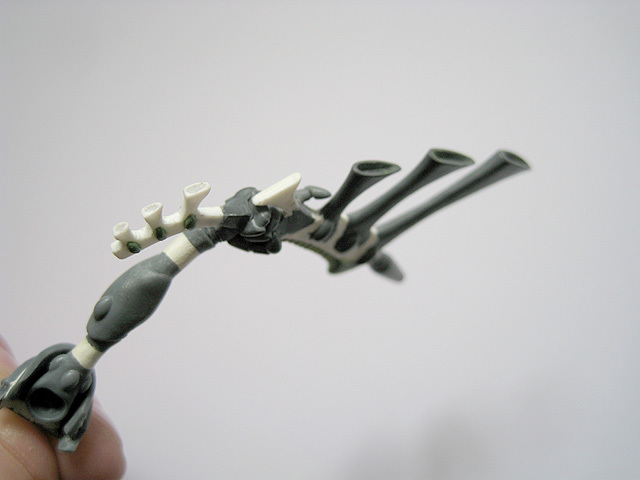 The Wraithsinger's lower body after assembly. 12. The torso, mostly assembled. 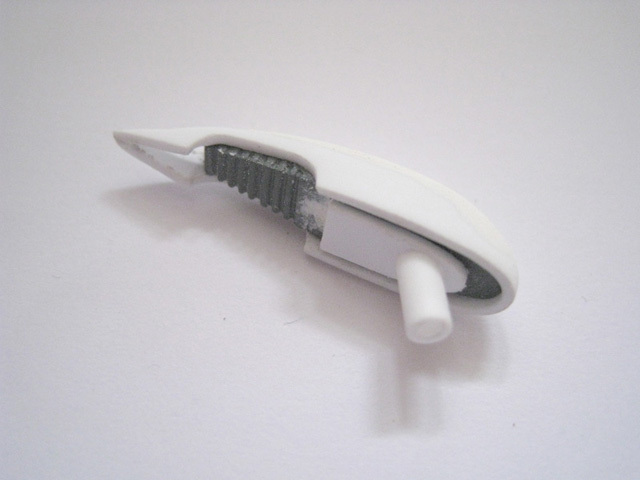 The thumb and forefinger were bent into new positions. 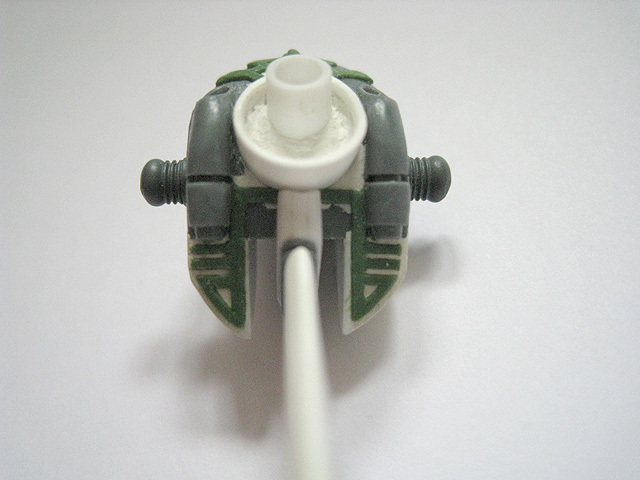 The end of the psytronome shaper was made from a Wave Serpent sensor. 14. An updated shot of the right arm. 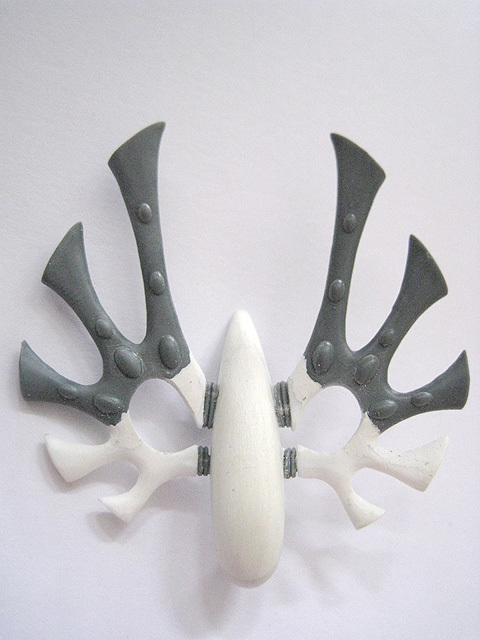 The bottom of each antler was made from plasticard, filed and shaped and supplemented with white milliput. These gems were carefully cut away and then glued in new positions. 15. The head starts to come together. 16. 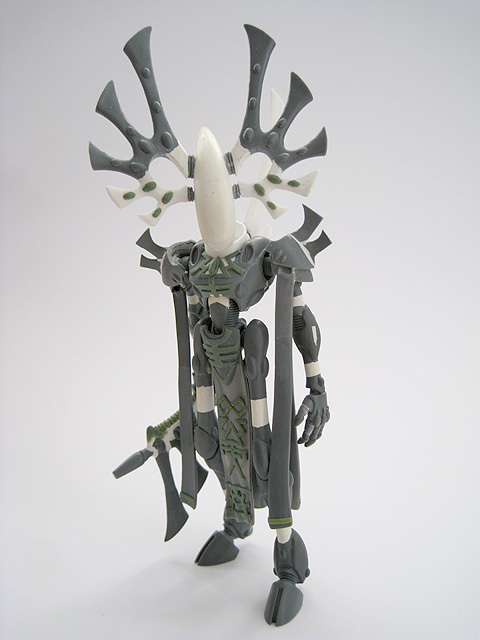 A mock-up of the Wraithsinger. Each ribbon was lengthened by gluing two together. 17. Two of each of these ribbons will hang from the shoulder pauldrons..
18. The psytronome shaper (or "dirge", as it is referred to in Jes Goodwin's Bonesinger design concept) continues to come together with the addition of some plasticard pieces. 19. 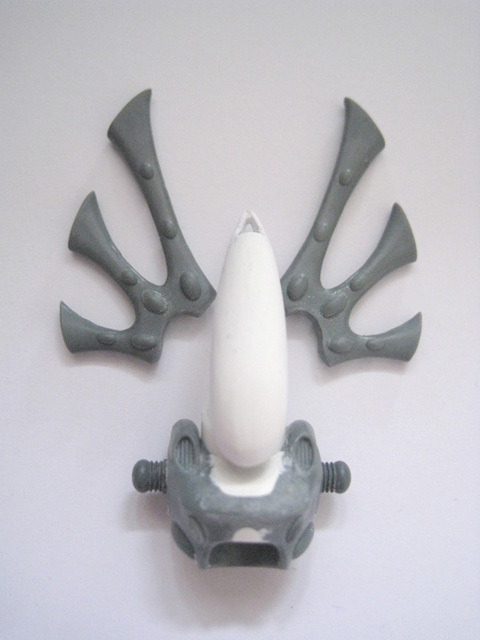 The Bonesinger concept sketch features fluted vanes on the psytronome shaper, which I wanted to recreate on my large-scale version, so the ends were carefully hollowed out using a drill and needle file. 20. The antlers are now more-or-less complete, with the addition of the remaining gems. 21. 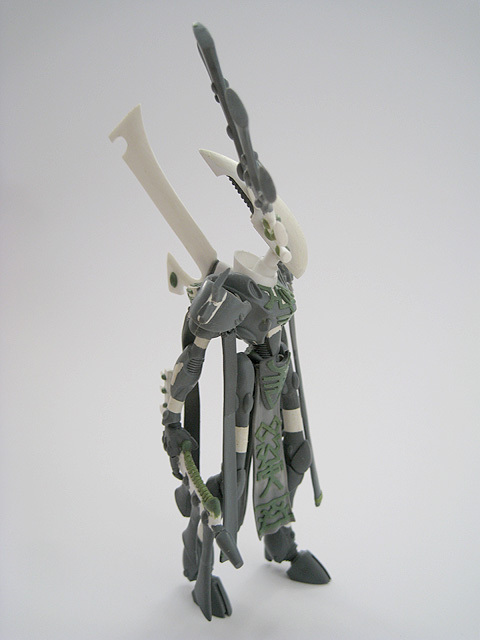 The Wraithsinger features some of my most ambitious and detailed Green Stuff sculpting. 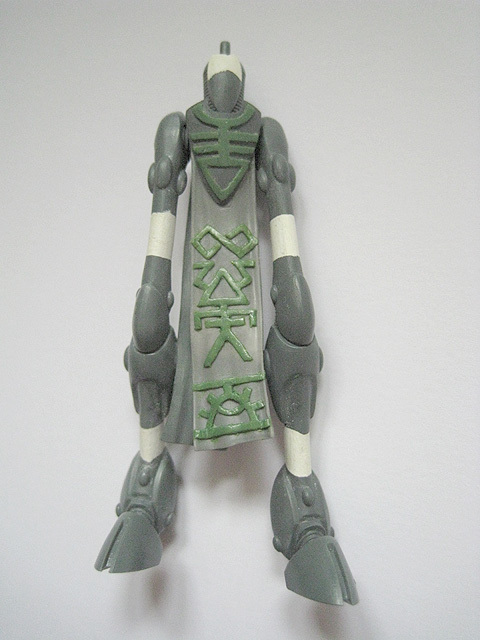 The torso includes a runic design in relief, with a raised gemstone set in the centre. 22. 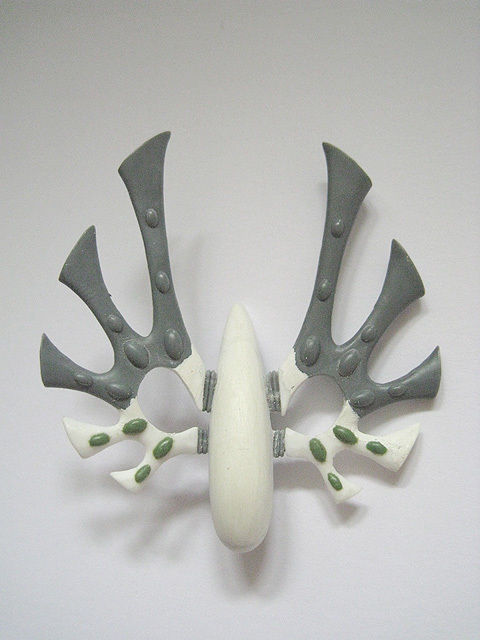 The top of the torso features more raised design work, echoing similar patterns on the Bonesinger. 23. I was really pleased with how well this turned out. The upper part of the design on the tabard is the Wraithsinger rune that I designed for this miniature, by combining a Bonesinger and Wraithlord rune together. 24. 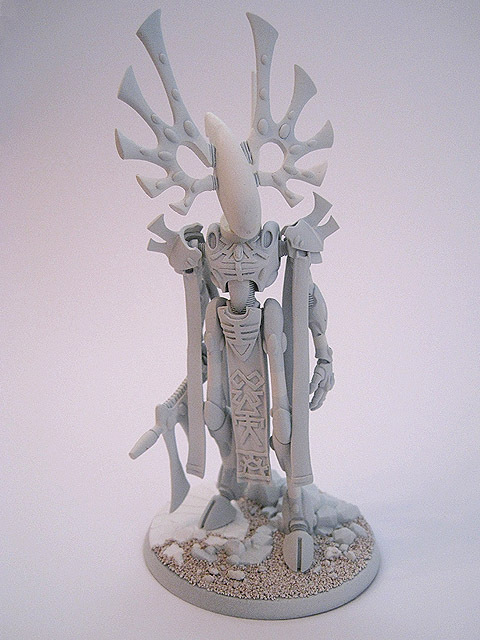 An updated mock-up of the Wraithsinger. 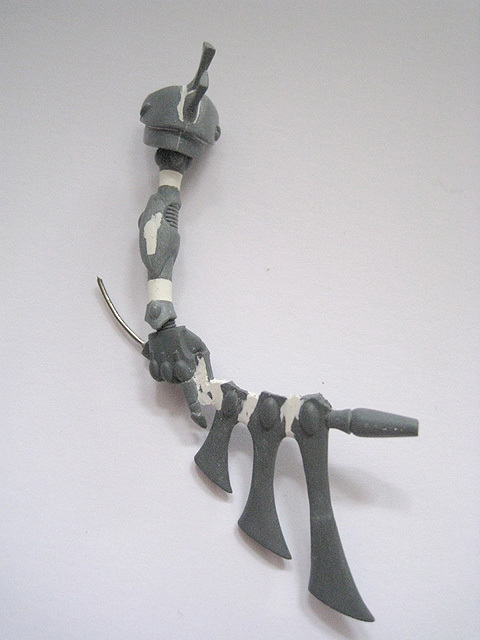 It looks significantly more ornate than a standard Wraithlord, which was one of my main goals in this project. It is still recognisably a wraith construct, but the distinctive looped antlers give it an unmistakeable silhouette. 25. A close-up on the detailing on the Wraithsinger's back. 26. 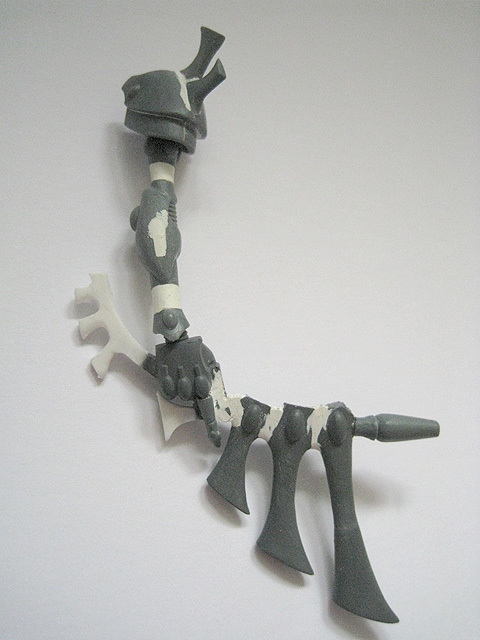 An updated work-in-progress photo of the Wraithsinger, with its left arm attached. 27. The fully-assembled Wraithsinger. All that remains incomplete is the base at this point. 28. 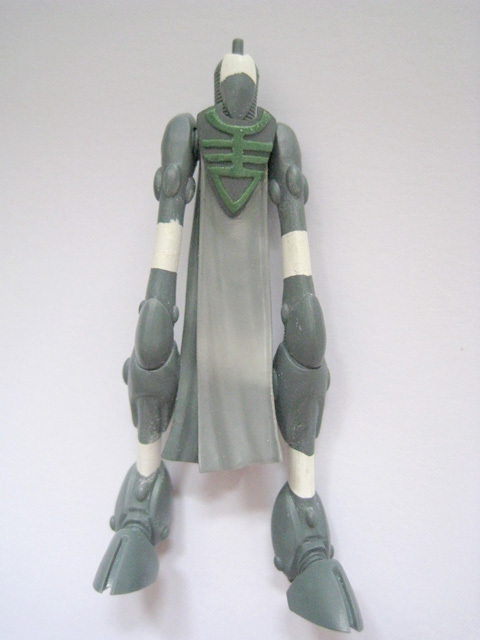 This side view better illustrates the Wraithsinger's pose and posture. 29. A close-up of the completed psytronome shaper. 30. The Wraithsinger from the rear. 31. 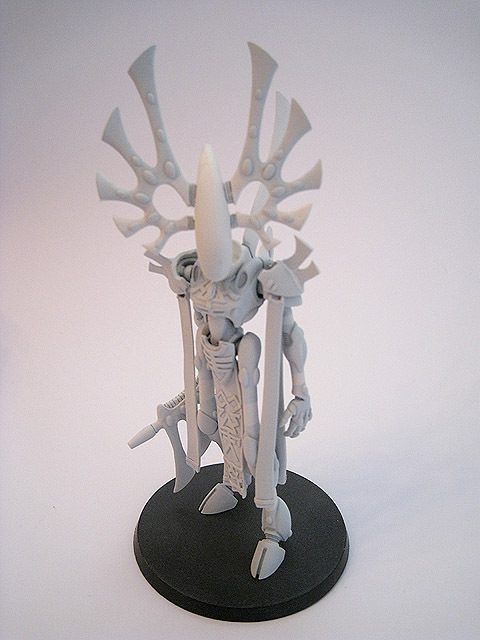 The undercoated Wraithsinger conversion. The base has yet to be completed. I created some ruined Eldar architecture using plasticard. The curved indentations were made using a pair of compasses and a needle file. 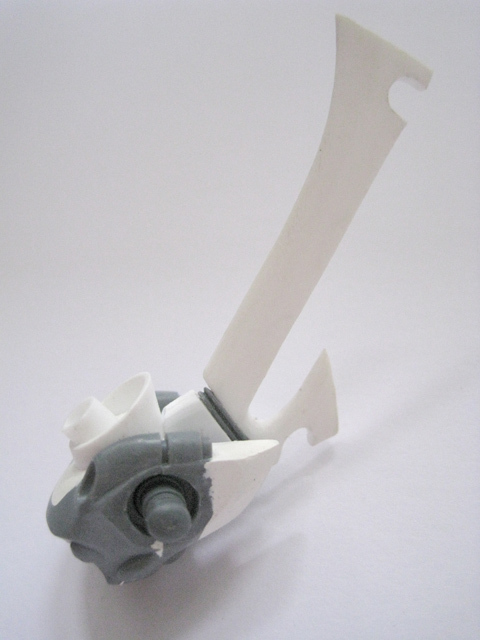 This small piece of plasticard will sit under the Wraithsinger's left foot and raise it up so that it doesn't appear to be sinking into the ground. 32. 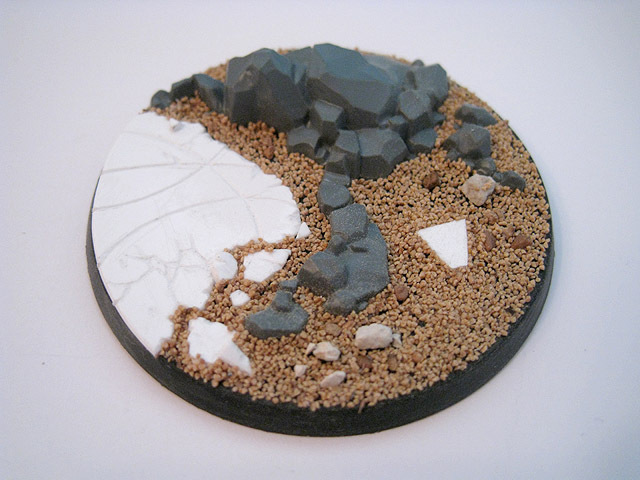 The completed base for the Wraithsinger. The plastic rocks came from the High Elf Lord on Dragon kit. 33. The completed and undercoated Wraithsinger on its scenic base.